The fact that it gets darker earlier is only an advantage during Christmas, as we can appreciate all the decorations longer! The whole Barcelona is covered in sparkling lights, Christmas trees, and with each area decorated differently, the evening walks take on a very festive exploring mood. 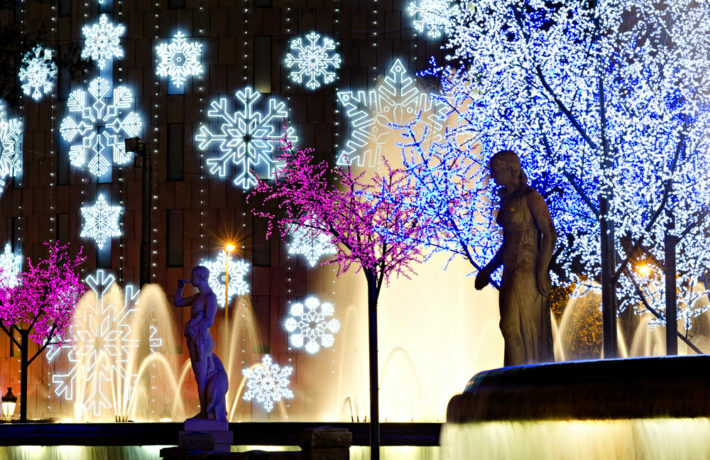 Even though you’ll only get to sing “White Christmas” rather than experience it in Barcelona, an open-air ice rink in the main square of the city – Plaza Catalunya – might help you forget that for a little! There are many other closed ice rinks in the city as well. 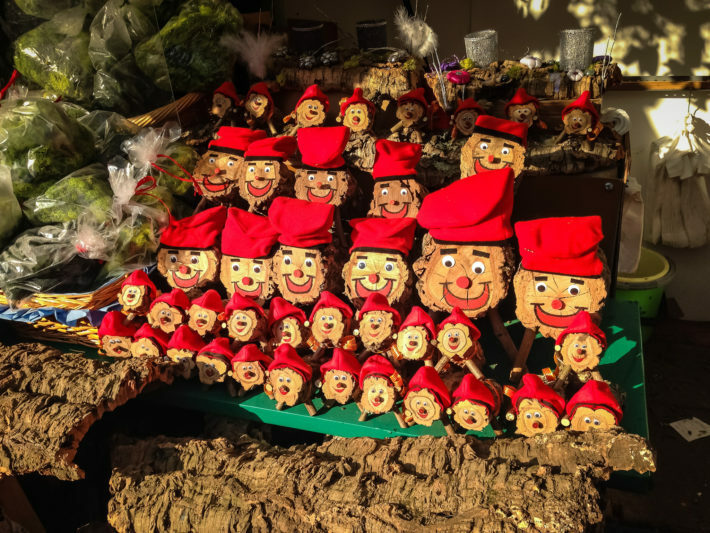 The oldest and most popular Christmas Market “Fira de Santa Llucia” opens up at the end of December and runs until Christmas Eve. Located just next to the Cathedral – in Plaça de la Seu and Plaça Nova – the market will definitely spread some Christmas mood with all the handmade gifts, decorations, various food and most importantly will broaden your knowledge of some Catalan traditions, such as the popular Catalan Christmas symbol – Caga Tió log. The Caga Tió log is a wooden log with a smiley face and a Christmas hat. When Santa is usually the one bringing presents on Christmas in other countries, Caga Tió usually does that in Catalonia. Traditionally, it is cared from December 8th up until Christmas Eve or Christmas Day, when the kids beat the log singing songs asking it to poop some presents and after he does that, it’s thrown into a fire. Quite weird, right? Yet a very well-known tradition here. An annual event raising awareness to the environmental issues in the Mediterranean and along the Catalan coastline. 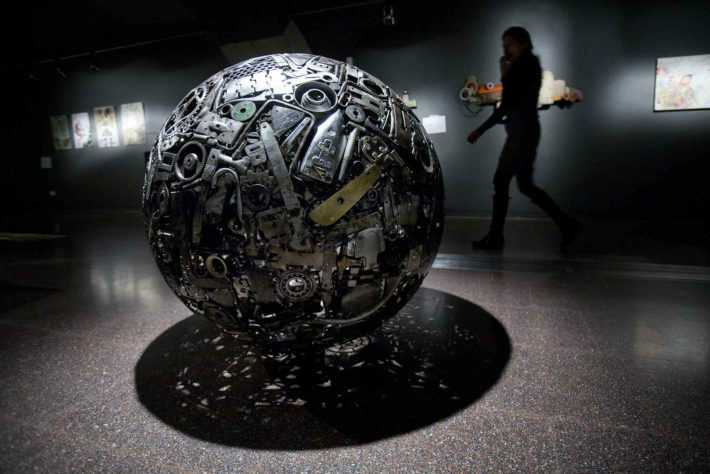 A festival filled with art, and more importantly, art made with recycled materials and objects, lectures, workshops, performances, invites everyone to care a little bit more about the future of our planet and promotes artists who spread this idea as well. If you want to participate in an event promoting independent designers and/or support them, The Fostering Arts and Design Association offers this unconventional Christmas Market where you can get to know the artists, purchase their products and spend time among like-minded people. 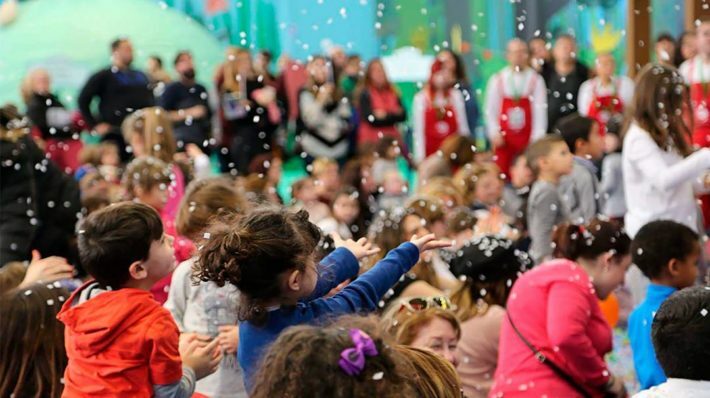 If you are spending the Christmas and New Years period in Barcelona with the little ones, attending The City of Dreams festival will definitely be a present for them! 5 whole days filled with various activities, workshops, games, sports, and music are so good, they are awaited by the kids not less than the Christmas itself! Plenty to do and celebrate in December, and Barcelona awaits! 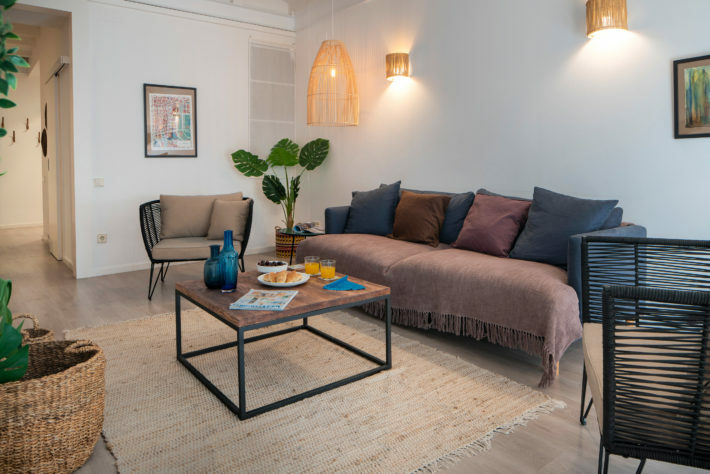 Habitat Apartments will take care of the coziest accommodation, such as Plaza España Balconies, don’t worry about your accommodation being perfect and plan the activities!